Since you can afford a 2008 Chrysler 300, you can afford to option up to anti-lock brakes and optional airbags. Like American gangsters, the 2008 Chrysler 300 exudes a kind of cool that is coveted by all, but attained by few. 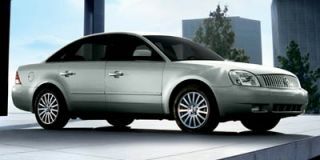 To bring you this review, TheCarConnection.com's editors read the latest reviews on the new 2008 Chrysler 300. Experts from TheCarConnection.com also drove several Chrysler 300 models, including the HEMI-powered 300C and ultra-high-performance 300 SRT8 edition. These experiences enable this team to offer you a definitive opinion on this distinctly American sedan. 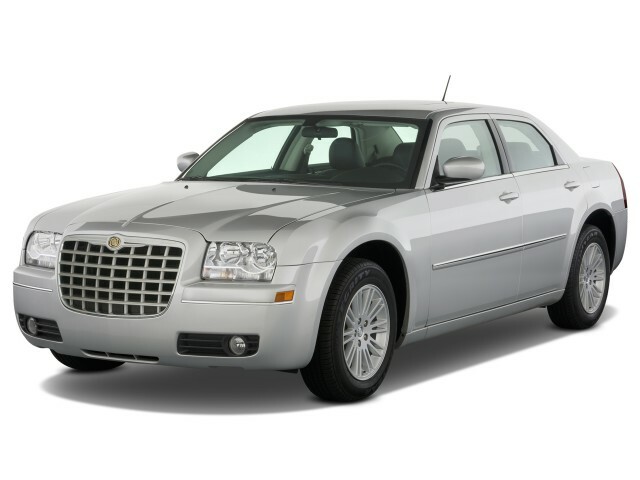 TheCarConnection.com review also compares the 2008 Chrysler 300 to similar vehicles to give you a better understanding of how this sedan fits in the market. Looking at the 2008 Chrysler 300, it's easy to say that this car is one of the best things to come out of the troubled Mercedes-Benz/Chrysler relationship. Introduced in 2005, the Chrysler 300 reintroduced Americans to a domestically built, full-size, rear-wheel-drive sedan. The car was an immediate hit. Some editors from TheCarConnection.com wondered aloud at the car's debut about how long the hunkered-down styling of the Chrysler 300 would remain popular. The high beltline/low roof look has actually aged well, and the car continues to turn heads--something that can't be said of its traditional domestic full-size sedan competitors. The 2008 Chrysler 300 hits the streets with several major improvements for the year. Starting with the exterior, you'll find new front and rear fascias, a new grille, and taillamps. These in no way impair the 300's retro-modern style. Inside, the 300 gets a new set of instruments and a revised dash, along with new door trim panels and a reorganized center console. New soft-touch materials, new upholstery, and a relocated cruise control stalk also make the cut for 2008. The standard engine on the rear-drive 300 is a 2.7-liter V-6 engine providing 178 horsepower. A four-speed automatic transmission is standard, but curiously, anti-lock brakes are not (though they should be). A 3.5-liter, 250-horsepower V-6 engine and five-speed automatic transmission comes with rear-wheel-drive and all-wheel-drive Touring models and the Limited package. The 300C comes with the 5.7-liter, 340-horsepower HEMI V-8, five-speed automatic, and either rear- or all-wheel drive. The romp-'em-stomp-'em SRT8 version of the 300C continues for '08, offering a 425-horsepower 6.1-liter HEMI V-8, sport suspension, 20-inch rims, and other upgrades. On the road, the 2008 Chrysler 300 delivers a good driving experience from its rear-wheel-drive chassis. For Chrysler, 2008 models differ considerably in ride comfort. Base, Touring, and Limited 300 editions offer a softer ride. The 300C and the 300 SRT8 target the performance enthusiasts with high-horsepower HEMI engines and stiffer suspensions. Stepping up to the 300 SRT8 nets drivers musclecar performance in the form of sub-14-second quarter-mile times and a top speed of over 150 mph. As you'd expect, traction control and side and curtain airbags are optional. Fitted with the optional passive safety devices, the 300 performed well in government crash tests. 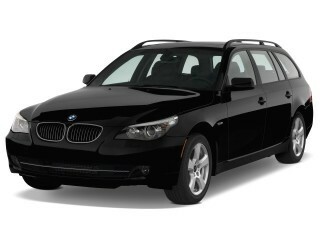 Less plebeian options include a Bluetooth connection that features iPod connectivity; a six-disc changer; a MyGIG audio entertainment system; a Boston Acoustics speaker package; Sirius Backseat TV; remote start; and adaptive cruise control. All of this gear works well inside the 2008 Chrysler 300. The interior update looks and functions well, and the quality remains high. 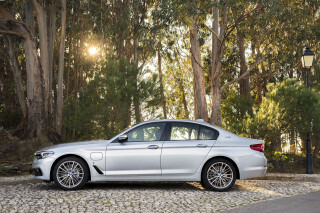 You'll note upscale touches everywhere, from the chrome accents to the soft-opening glove box. It does take a while to get used to the narrow greenhouse, but once acclimated, drivers don't mind their view to the outside. If you are considering the 2008 Chrysler 300C, the list of competitors changes dramatically. With its HEMI V-8, tighter suspension, and premium interior, the 300C is a legitimate alternative to Cadillac's CTS and STS. 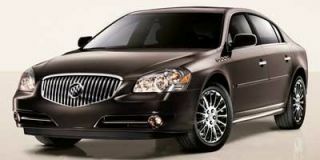 The Chrysler's driving dynamics and quality are also comparable to the BMW 5-Series and Audi A6. When one remembers that the 300 was developed when Chrysler was owned by Mercedes-Benz, the 300C's competitiveness is less of a surprise and more of a reasonable conclusion. The 2008 Chrysler 300 makes an emphatic retro statement from the outside; inside it’s less certain and less fanciful. The 2008 Chrysler 300 strikes a retro chord with its exterior styling and its nods to Chryslers of the 1950s and 1960s. Car and Driver praises the 300 SRT8's "new front and rear end styling," describing it as "Bentley-like line” and “audacious." Edmunds says the 2008 Chrysler 300's "styling is unmistakably American...the large chrome grille, double-lens headlights, high beltline, bulging fenders and large wheels give it a strong presence on the road." This may be why Kelley Blue Book advises "if you're looking for something inconspicuous, say, for a stakeout, the Chrysler 300  might not be your best option." Inside, the 300 gets a new set of instruments and a revised dash, along with new door trim panels and a reorganized center console. New soft-touch materials, new upholstery, and a relocated cruise control stalk also make the cut for 2008. While some might consider the 2008 Chrysler 300's interior styling to be conservative, ForbesAutos deems it "staid." Edmunds attempts to put a positive spin on it: "its overall interior design has been described as simple but elegant...the dash area effectively combines sporty, semi-retro and luxury motifs." Kelley Blue Book, on the other hand, warns that "some may find the interior color choices drab...despite the 300 SRT8's somewhat colorless interior, exquisite touches, such as the faux tortoise shell steering wheel on the 300C, add an air of individuality and elegance." Despite some quibbles from reviewers, it’s clear that the 2008 Chrysler 300 is a truly impressive performer in V-8 form. The 2008 Chrysler 300 is best savored in its V-8 forms, where huge power and crisp handling more than match its visual appeal. Four engines are offered in the Chrysler 300 lineup. The standard engine on the rear-drive 300 is a 2.7-liter V-6 engine providing 178 hp. A four-speed automatic transmission is standard, but curiously, anti-lock brakes are not (though they should be). A 3.5-liter, 250-horsepower V-6 engine and five-speed automatic transmission come with rear-wheel-drive and all-wheel-drive Touring models and the Limited package. The 300C comes with the 5.7-liter, 340-horsepower HEMI V-8, five-speed automatic and either rear- or all-wheel drive. The romp-'em-stomp-'em SRT8 version of the 300C continues for '08, offering a 425-horsepower 6.1-liter HEMI V-8, sport suspension, 20-inch rims, and other upgrades. Cars.com reports that the Chrysler 300 2008 "comes with a choice of two V-6s, while Hemi V-8 power comes in the 300C." Car and Driver notes that "real speed from its optional 340-hp Hemi V" makes the 300 SRT8 run "like lubed lightning," but adds that "V-6 models are less exciting." ConsumerGuide is in agreement here: "tepid acceleration with the 2.7 V6 supports Chrysler's slow 11.0-second 0-60 mph quote...the Touring's 3.5 V6 is adequately quick, even with AWD; Chrysler quotes 9.0 second 0-60. 300C is responsive at any speed; 6.3 second 0-60." SRT8 versions have been timed at about 5.5 seconds to 60 mph; stepping up to the 300 SRT8 nets drivers musclecar performance in the form of sub-14-second quarter-mile times and a top speed of over 150 mph. Cars.com reports that the Chrysler 300 2008 V-6 model "teams with a four-speed automatic transmission," while "other models get a 250-hp, 3.5-liter V-6 and a five-speed automatic." ConsumerGuide notes "both transmissions suffer some lag before downshifting, but the 5-speed's manual shift gate helps." The 300 SRT8 is thirsty, to be sure; Car and Driver comments "fuel disappears fast," but notes that "when not needed for saving time, four of the Hemi's cylinders switch off seamlessly to save fuel, [which] boosts fuel economy 10 percent on the EPA city cycle." Those EPA estimates for the Chrysler 300 2008 are 14/20 mpg for the less powerful V-8 and 18/26 mpg for the V-6. On the road, the 2008 Chrysler 300 delivers a good driving experience from its rear-wheel-drive chassis. For Chrysler, 2008 models differ considerably in ride comfort. Base, Touring, and Limited 300 editions offer a softer ride. The 300C and the 300 SRT8 target the performance enthusiasts with their high-horsepower HEMI engines and stiffer suspensions. Out on the open road, Car and Driver reports that the 2008 Chrysler 300 "swallows both freeways and switchbacks with precise steering and good body control" and "turns like a dancing debutante" but notes a "slightly crusty suspension." ConsumerGuide finds that "the 300's ride is generally smooth, though some of our testers complain of annoying jiggling on rippled freeways," though "ride is less composed on AWD models, with sharp pounding over road imperfections." Kelley Blue Book notes that the 2008 Chrysler 300 suspension "doesn't readily evoke that of a European sport sedan, but tight and true steering keeps you feeling in control of what is admittedly a large vehicle." ForbesAutos reports that "handling is decent for this size of vehicle, and the ride is smooth." The 2008 Chrysler 300 offers ample head- and legroom; the cabin has an improved look and feel, but it’s still outclassed by some Japanese—and Korean—cars. The 2008 Chrysler 300 allows passengers to ride in comfort and quiet, despite some cheap-looking interior materials. Car and Driver reports "ample interior space...when used for sitting, both the front and rear seats coddle the keister with a simple but effective bolster pattern and somewhat firmer foam than the usual domestic custard." ConsumerGuide notes "lots of headroom and legroom, though AWD versions have a slightly narrower passenger footwell. Flat seat bottoms cause passengers to slide during aggressive cornering except in 300 SRT8, which has grippy suede seat inserts." Edmunds says, "Cabin dimensions are generous in all directions, and the 300 offers more legroom than most of its competitors," while Kelley Blue Book asserts that Chrysler 300 2008 "front bucket seats provide excellent lower back and thigh support, and feature adjustable lumbar support for both the driver and passenger. Legroom is abundant throughout, as is headroom both front and rear." In terms of cargo space, ConsumerGuide finds "decent cabin storage abetted by numerous cubbies and roomy center console." Trunk space in the 2008 Chrysler 300 is not spectacular and hard to access; it's a "large, deep trunk...hinges don't intrude, but liftover is fairly high, and the opening is too small to load large cargo." According to Edmunds, "the [2008 Chrysler] 300's trunk capacity measures a modest 15.6 cubic feet." The revised interior has improved trim quality, but it’s still not world-class. Edmunds describes "new soft-touch surfaces on the armrests and door panels along with a redesigned and relocated cruise control stalk complement this feeling." According to ConsumerGuide, "special interior panels have been designed to fit the longer Chrysler 300 2008 rear side doors, [but] they have a low-quality appearance." They're an improvement though, according to Car and Driver; the 300 SRT8 features "updated interior with better quality materials...comfort and luxury at a low price." Noise levels are acceptable: ConsumerGuide contends "V6s cruise quietly, roar noticeably during acceleration. V8s have throaty, subdued growl...tire thrum evident, but not objectionable. Wind rush rises with speed but doesn't interfere with conversation." The 2008 Chrysler 300 has good crash-test scores, but base versions don’t include standard anti-lock brakes or curtain airbags. The 2008 Chrysler 300 gets impressive scores in crash tests, but some safety gear is optional on selected models. The 300 received top marks from both the National Highway Traffic Safety Administration (NHTSA) (five stars for front impact protection, four for side impact and rollover resistance), as well as the more demanding standards of the Insurance Institute for Highway Safety (IIHS) ("good" for frontal-offset crashes). Cars.com indicates that "antilock brakes, traction control and an electronic stability system are included on all but the base [2008 Chrysler 300] sedan," but notes that "front-seat side airbags and side curtain airbags are optional." This omission regarding the Chrysler 300 2008's safety equipment is cause for concern, since most injury accidents are the result of side impacts. Edmunds reports that "ABS, traction control and stability control are optional on the base [2008 Chrysler] 300 LX but standard on all other models," though they confirm that "front-seat side airbags and full-length side curtain airbags are optional on all [Chrysler 300 2008] models"--including the 300C SRT8. All of these models, including the 300C SRT8, have visibility issues, according to Cars.com, which reports "visibility can be hampered at times." However, Cars.com says "abundant glass and large mirrors help visibility." The 2008 Chrysler 300 has some exotic features, such as satellite television, for truly demanding drivers. The 2008 Chrysler 300 comes in a confusing array of trims and options packages, but in general, the more one is willing to pay, the more one gets. TheCarConnection.com's experts found sorting out the various Chrysler 300 2008 trims to be a challenge. Cars.com notes that there are "six 2008 Chrysler 300 models," including a special long-wheelbase edition: "if you're a harried exec who has a driver, accessories can transform the rear of the Chrysler 300 2008 Long Wheelbase into a mobile office. Besides writing tables, options include footrests, illuminated vanity mirrors, adjustable reading lights and 12-volt power plugs for charging mobile electronic devices." Kelley Blue Book lists standard equipment on the Chrysler 300 2008 base model as including "four-speed automatic transmission, 17-inch wheels, air conditioning, AM/FM stereo with CD and auxiliary input jack, power locks, power windows, 60/40 split rear seat, driver- and passenger-adjustable lumbar support, power driver's seat, four-wheel disc brakes, remote keyless entry, speed control, rear defrost, dual power mirrors and a tilt/telescoping steering wheel." According to Edmunds, "many of the 2008 Chrysler 300 upper trim levels' upgraded features are available as options on the lower trims. Other major options, typically grouped in packages with availability depending on the trim level, include hard-drive-based and surround-sound audio systems, a navigation system, a rear-seat DVD entertainment system with Sirius TV, adaptive cruise control, Bluetooth and an iPod interface." Kelley Blue Book reports "features available only on select trim levels (such as the 300 SRT8) or as stand-alone options include all-wheel drive, five-speed AutoStick transmission, leather seating, power sun roof, heated front seats, heated rear seats, Adaptive Speed Control, adaptive headlamps, 18-inch wheels, side-curtain and seat-mounted airbags, rear object detection, power-adjustable pedals, Boston Acoustics eight-speaker sound system, GPS navigation system with integrated six-disc CD/MP3 player, remote start, MyGIG audio and entertainment system, SIRIUS Satellite Radio and xenon headlamps with high-pressure washers."